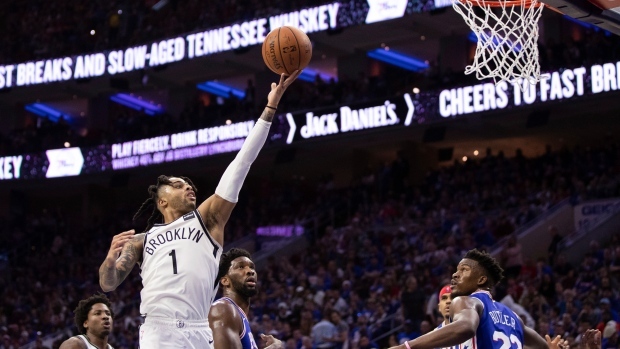 Russell flashed some post-season magic, playing like the All-Star leader Brooklyn needed with 26 points, and Caris LeVert scored 23 to lead the Nets to an impressive 111-102 win Saturday over the 76ers in Game 1 of their Eastern Conference first-round playoff series. Poised for a post-season breakthrough, Russell flourished and hit a string of jumpers in the third that never let the Sixers seriously chip away at the lead. LeVert's third 3 in the fourth made it a 16-point game and there was no looking back — at least not for Russell as he raised his arms in celebration as he headed down the tunnel into Brooklyn's locker room. "I trust our offence. We got great minds behind it," Russell said. "Coach set us up earlier this season with a routine and recipe for the offence and it's been flowing ever since." 76ers: Butler and Tobias Harris are both eligible for free agency and could stick around after they were acquired in mid-season trades. Team owner Josh Harris said both players could be re-signed. "It's really hard to get good players of their calibre. Now that we've attracted them into our system, we're going to work really hard at keeping them around for a while," Harris said.